Purple Olive Guest House offers modern accommodation along with free Wi-Fi near the historic Wonderboom Nature Reserve. It is a 20-minute drive to Loftus Versfeld Stadium. Offering a minimalist décor, each spacious room is equipped with a bath, TV and internet access. Some rooms have views of the surrounding greenery. Relaxation facilities at Purple Olive Guest House include a large outdoor swimming pool fitted with sun loungers. Enjoy scrumptious breakfast in a cosy cottage style dining room.Relax around the pool in summer or enjoy the warmth of the fireplace in the cosy lounge. 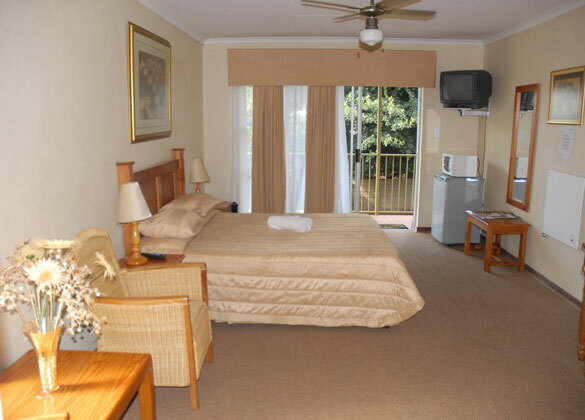 All rooms take a maximum of two people at no extra charge. A R100-00 fee will be added for each additional person in the same room. Located in the heart of Pretoria with a unique blend of contemporary luxury and historic heritage, deluxe accommodations, superb amenities, genuine hospitality and dedicated service for an elevated experience in the Rocky Mountains. Facilities: Balcony Bar Fridge Fan Hairdryer Heater Iron & Ironing board Telephone DSTV Internet Ready No Smoking Tea and Coffee View Fully Equipped Bed Linen supplied Towels Microwave.